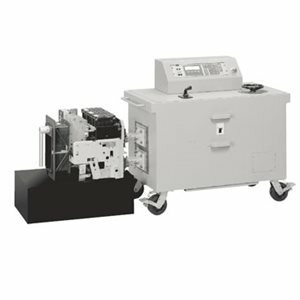 The DDA-3000 and DDA-6000 are designed specifically to test low-voltage power and molded-case circuit breakers equipped with thermal, magnetic or solid-state trip devices. The unique transformer and circuit design results in a very high-capacity test set in a very compact size. Advanced digital control and instrumentation provides exact testing capacity. The test sets can also be used for other high current applications, such as verifying the ratio of current transformers and performing heat runs or primary injection testing of high-voltage breakers and their associated protective relays.